The radar chart depicted a mission to oil refineries on the outskirts of Ruhland on February 15, 1945. 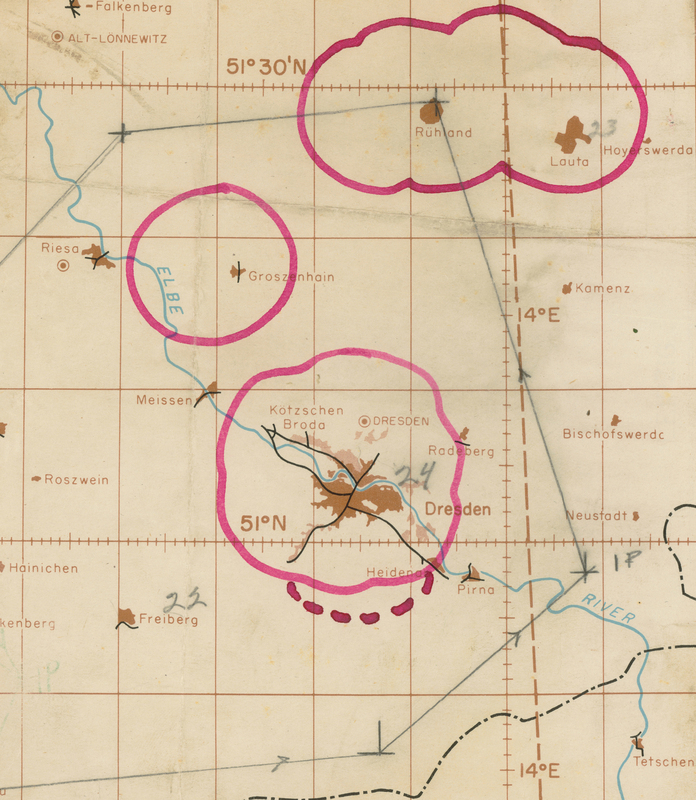 The pink bands mark hand-inked flak belts added to the chart by the bomb groups’ intelligence officer. The “IP” marks the initial point where the formation began their visual bomb run. Cloudy weather prevented the target from being seen and much of the formation diverted to the large radar secondary target that could be detected below the clouds – Dresden.